BTS - [ the Most Beautiful Moments in Life ] PT.1 3rd Mini Album ( White Ver. ) CD, Photobook and Photocard Bangtan by Loen Entertainment at WA Tunes. Hurry! Limited time offer. Offer valid only while supplies last. 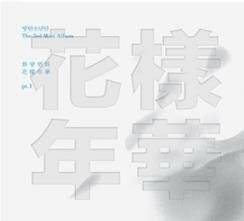 BTS' 3rd Mini Album - [ The Most Beautiful Moments in Life ] PT.2 (White Ver.) album package consists of CD, Photobook(102 pages) and a Photocard.